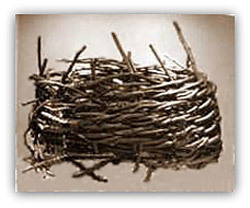 Corves or hazel wicker baskets were introduced from Germany in 1564 and used in conjunction with hemp ropes to haul coal up the shafts. To the right a corf is being raised up the shaft whilst an empty one is waiting to be filled. Sir Francis Willoughby was paying wages on a sub-contract system at Coleorton in 1570. He also invested in dredging the River Trent to facilitate easier movement of coal by boat and took action against the building of weirs on the river. The chalter rose from 1s (5p) a rook or (9d (4d) a ton to 9d (4p) per ¾ load or 1s (5p) a ton. The Ropewalk in Nottingham was a stretch of land about 100 yards (91m) long and 60 yards (55m) wide used for the manufacture of ropes and one was established in Lenton. William Coates began a firm in 1840 when the arduous method of manufacturing ropes began by a mass of loose fibres being wrapped around a worker’s waist, and after it had been run out would be tallowed ready for coiling. The workers would walk continually up and down the ‘walk’ and the rope would be twisted in a way that it would not unwind. Incredibly, a small pit in Yorkshire would still be using a woven hemp rope about 5 inches (0.127m) wide, by about 1 inch (0.025m) thick, for winding in 1943 (Possibly after 150 years). 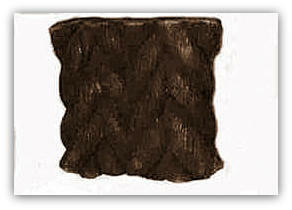 The width was achieved by binding several single ropes together as seen in the example. Extract from a document/plan written about this time: A sketch indicates 5 shafts and a roadway – titled - “Mappe Demonstrating the Charge and manner of and for the makinge a Coale Myne in the Hare Close in Strelley”. The Sough will be 400 yards (365m) each yard (0.9m) will cost 3s (15p) the drivinge settinge and coveringe which Stone. There must be 10 Sough Pitts in the 400 yards (365m) which will cost 4s (20p) each yd (0.9m) sinckinge for workmen’s wages besides Ropes Tooles and Tymber: A Gynn Pitt to draine the soft Coale water will cost (£) 30 l (£30) besides ye Gynn. Twelve yards (11m) betweene thes 2 Gynns will cost 5s (25p) the yard (0.9m) drivinge. The Greate Gynn Pitt as well for horses as besides water will cost £110. There must be 20 yards (18m) from this Gynn Pitt to ye harde Coale pitt which will cost 10 l (£10). The first hard Coale Pitt will cost 40 l (£40) besides Tymber and Tooles. Thes 2 Pitts must be 50 yards (46m) asunder which will cost 5s (25p) a yard (0.9m). The 2nd hard Coale Pitt which may cost 30 l (£30). Thes 2 Pitts must be 70 yards (64m) asunder which will cost 4s = 6d (22½p) a yard the drivinge. This ye 3rd hard Coale Pitt will cost 28 l (£28). There must be 2 or more Dams which will cost 30 l (£30). The 2 Gynns makinge 150 l (£150). Wood for the 2 Gynns 100 l (£100). Smyths workes and Iron 70 l Ropes – Candles Loadinge of wood and cuttinge and cordinge. Four horses at a shifte of 6 houres which att both Gynns will be 16 horses say 16 horses Night In all 32 horses recien the water will nott serve which at 12e a horse will com to 32 l every 24 hours. A summary of the expenditure is shown: The sough 400 yards att 3s (15p) the yd ---060 l (£60). Tenn Sough Pitts att 4s (20p) ye yard -- 040 l (£40). The soft Coale Gynn Pitt --030 l (£30). 12 yards (11m) headinge to the Greate Gynn Pitt at 5s (25p) a yard-- 003 l (£3). The Greate Gynn Pitt Myne and Seller -- 110 l (£110). The 2 Gynns woode makinge -- 250 l (£250). 20 yards (18m) headinge the Greate Gynn will be hard Coale Pitt -- 10 l (£10). ‘Further’ headinge driven as above -- 040 l (£40). The total was around £543, quite a large sum in those days, getting on for £87,000 equivalent in 2010. In 1568 Richard and John Coke of Kirkby Old Hall, Pinxton mortgaged land in South Normanton to Richard Lyname with the right to extract coal. Sir Francis Coke bought the moiety of Pinxton Manor (Derbyshire) from the Longfords in the middle of the 16th Century and then Pinxton changed from an agricultural community to a mining one. The mines at Strelley and Wollaton were ideally situated being close to City of Nottingham and also close to the River Trent where barges could take coal to Newark and Gainsborough both areas where mining of coal did not exist. The South Derbyshire and Leicestershire pits had no outlet of such a nature for their coal. William Sheldon’s and Winter’s pits at work in the Newbold area. The Crown leased land and a coal mine at Measham (Leicestershire) to Edward Dilkes, Nicholas Taylor and Thomas Henshaw for 21 years at 13s 4d (66.6p) per annum. Henshaw also leased the former Leicester Abbey mine at Oakthorpe at £2 per annum for 21 years. He surrendered the lease in 1575 and died in 1606, New ore hearth technology was introduced into Derbyshire by 1571 and the county became a major lead producer for the rest of Europe. There were at least 20 water-powered bellows-blown smelting mills on streams close to woodlands for fuel to smelt the lead, introduced by the Earl of Shrewsbury. White coal was used as fuel. This was small white pieces of wood made dry and hard by fire i.e. drying it in kilns. It was said that 12 horse loads of this fuel was needed to produce a fother of lead. Eventually due to a fuel crisis coal would replace the timber as fuel, but not generally until the late 1690s albeit that most of the trees had been cut down. By 1572 three pits were producing coal at Coleorton. Two of the pits were worked on the sub-contract system and run by charter masters Henry Robarte and John Bodell who were paid 1s (5p) a rook. They employed 13 men at one pit and 14 at the other. The third pit leased by Arnold was worked by 17 colliers who had to rely on sales to make a profit. A new fourth pit being sunk by specialist teams took 5 weeks. It was then coupled to a sough pit where water was raised to the surface in metal ladles then tipped into a surface sough. Three specialist sinkers C Jarrow, H Jarrow and M Clarke supervised the sinking whilst Henry Clark, William Clark and Robert Jarrow plus 3 labourers were paid 18s (90p) or 6 pence (2½p) a day for 6 days work driving the sough pit. All the equipment and tools and timber for lining the shaft and supporting the underground roadways were supplied by the owner, also picks for hewing and wooden barrows for carrying the coal to the shaft. The pits raised approximately 985 rookes in a couple of months. 1 rook was about 1½ tons. Bartholomew Wodderson of Lowdham and John Speede of Cossall were both experienced surveyors and mining experts and employed by the Willoughbys and Speede was asked for advice on the construction of the new Coleorton collieries. Miners were earning 3s (15p) for a 5½ day week. There was an indenture between John Burlarge, Roger Alfred and William Clark of the one part and Charles Morrison of the other on 23rd February 1574, being a lease for 21 years at £5 per year. (Equivalent to £800 in 2011). The coal myne was at Selston in Nottinghamshire. Lead mining (Galena) had been carried out in Roman times and production had been concentrated in the High Peak, however after the early 16th Century mining and smelting was moved to the Low Peak field of the Wapentake of Wirksworth (Derbyshire). Previously Bole hills had been the sites of primitive smelting sites, usually exposed to south-westerly winds. This was to allow the natural wind to be captured instead of using bellows to create the heat required. 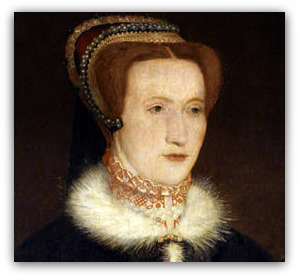 There were coal mines being worked in Oakthorpe Manor, (South Derbyshire) in 1575. The Lenton Sough (Nottinghamshire) was being driven in the year 1575 and emptied into the Tottle Brook. The first coal workings in that area commenced in 1580. At Bolsover in 1577, a wainload of coal cost around 1s 4d (6½p) or the equivalent of 1s 7d (8p) a ton, £12 in 2010). Mines were on lease at Newbold Moor. In 1578 Queen Elizabeth found 'herselfe greatly greved and anoyed with the taste and smoke of sea cooles' - the control of smoke exercised the attention of Parliament. 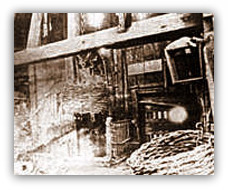 John Zouche of Codnor opened the first charcoal blast furnace at Loscoe in 1582. After his death the ironworks and coal mines were leased to Sir Francis Willoughby of Wollaton. Mining increased at Codnor in Derbyshire in 1580 and in 1584 the first ‘recorded’ mining of coal, in Sutton-in-Ashfield at Hucknall under Huthwaite in Nottinghamshire is noted. Mining had been carried on for many years in the Parish of Blackwell in Derbyshire, which is close to Huthwaite and the border of the two counties. At Shuttlewood Common a pit near Bolsover made a profit of £83 in 1586. At Woodsetts, (North Derbyshire) in 1587, a half part in a ‘delfe’ of coal sold for £20. A delfe, delf, delph or delve was a shallow excavation, quarry or outcrop. The price of coal at Worksop (Nottinghamshire) was 1s 8d (8⅓p) to 2s (10p) a wainload, which equated to between 2s (10p) and 2s 5d (12p) a ton. (£1 at that time was equivalent to about £140 buying power in 2010). Many mines were worked by partnership because of the capital expenditure required to set up and sink a mine before any coal was worked and made available for sale. More cog and rung gins were used for winding coal up the small diameter shallow shafts up until around 1690, whereas at the very shallow mines wallowing was still the preferred system. Chain pumps were used at Wollaton. Nicholas Beaumont died in 1585. Huntingdon Beaumont and his brother Thomas took more interest in mining now their father had died and introduced several costly ideas at the pits at Bedworth (Warwickshire) and Coleorton (South Derbyshire). Sir Thomas ran the mines at Coleorton and Newbold Moor. Huntington Beaumont, a new style Manager and Engineer moved to Nottingham where he leased mines at Wollaton from Sir Percival Willoughby and at Strelley from the Byron family. He is thought to have made use of a horse-driven windlass or winding device around 1588, which could have been a cog and rung gin. By using horses in this manner, shaft depths around 100 yards (90m) could be reached. 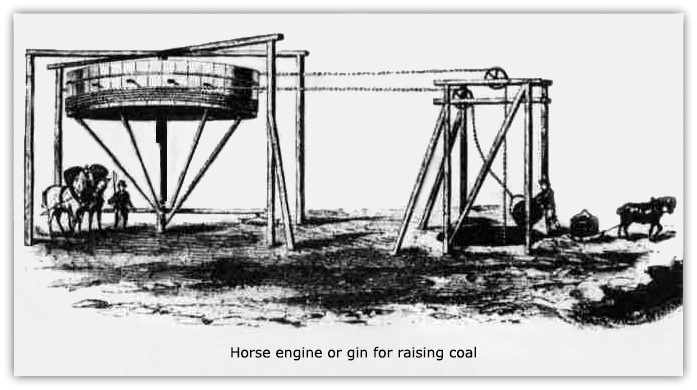 Horses would be used later to operate machines to raise water. 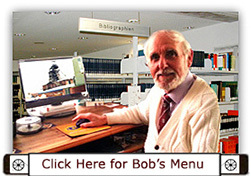 He also had interests in pits in the North East of England leasing pits at Bedlington. Camden writing in 1586 stated... ‘Nor must we forget Cole Overton the residence of Henry de Beaumont. This place has its surname from the coal dug here like hardened bitumen, which yields much profit to the Lord of the Manor and supplies all the neighbourhood far and near with fireing’. Wollaton and Bilborough in Nottinghamshire were the first mines of any size. Probable production of 6,000 to 10,000 tons? per year, which would equate to maybe 120 to 200 tons per week, mined by say 30 ? men would be around 4 to 6 tons per man. In 1586/1587 Francis Revell leased a mine in the Upper Storth (just south of the Common) to 2 husbandmen for a rent of £15 per year. They included picks, hammers, shovels, wedges, corves, 2 oxen, ropes etc. Using very primitive tools and poor lighting using only candles and an even more punishing haulage system in low roadways the more they advanced from the pit bottom I would say that it would have been extremely ‘hard work’. The woods around Wollaton had been diminished by 1589, by use in the malting, clothing, dying and jarnsey (jersey) industries. Alternative supplies of fuel led to a further dramatic increase in coal production. Land owners began to reserve the right to mine minerals when land was sold and coal mines were more often than not leased separately as the value of the coal had now been recognised. Francis Leake paid £84 @ £4 per annum for a period of 21 years as ‘a farmer of the coal mine’ at Swanwick in 1593. Shrewsbury was operating blast furnaces and forges producing bar iron at Stretton in 1593, Barlow in 1605 and Toadhole furnace at Shirland / Higham in 1610. 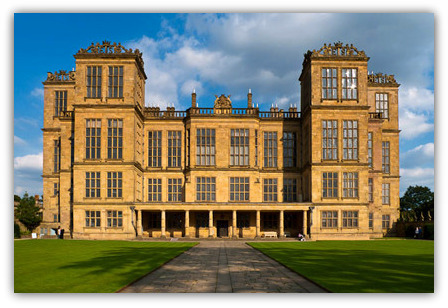 The second Hardwick Hall was built during the 1590s by Bess (Elizabeth Talbot). Coal from the working of the nearby Top Hard was needed. In that area the yet unnamed Dunsil seam below Top Hard was also available. Whilst opencasting in the mid 20th Century many small areas of Bess of Hardwick’s old workings were exposed close by the Hardwick lakes as shown on the plan. It is noted that a group of exploratory sinkers in Nottinghamshire were paid 10d (4p) a day in 1595. (The £ was now equivalent to about £120 in 2010). Wollaton produced 13,264¼ rooks of coal (about 20,000 tons) in 1598. A rook or rooke was a heap of coal 2 yards (1.8m) high by one-yard (0.9m) square equivalent to 1 ton 2½ cwts. More than 40 tons of coal was delivered from Wollaton in 1596 to John Foxe of Nottingham, a saltpetre man. Professor JU Nef estimated that the Wollaton pits were producing up to 20,000 tons a year and the whole of Nottinghamshire between 30,000 and 50,000 tons. At Waleswood just over the North Derbyshire border into South Yorkshire, around 2,000 wainloads or about 2,200 tons of coal was for sale to neighbouring counties in 1599. The Willoughbys also operated pits in Leicestershire at Coleorton and Bedworth in Warwickshire but Wollaton in Nottinghamshire was the largest. There were several pits at Measham now. In 1597 the Byron family at Newstead Abbey leased pits at Strelley. The small North West Derbyshire Coalfield was started in Elizabethan times as there was a pit at Fernilee around 1600, for a licence had been granted to Henry Needham of Thornsett by the Duchy of Lancaster to dig for coal in 1599. Around 1600 mining began around Axe Edge and Goyt Valley at Thatch Marsh. The last mine to close in the Buxton area would be in 1919. A map of 1600 shows 6 pits between Measham and Oakthorpe and another 3 pits at Willesley which lies about in the centre of the Leicestershire Coalfield. In the area covering the Ashby Woulds and into Leicestershire there were pits at Bretby, Newhall, Stanton, Swadlincote and Hartshorne, Church Gresley, then further south at Netherseal, Oakthorpe, Measham and Swepstone amounting to around a further 30 pits.